One of the very first words my daughter said was “jamp.” At first we had no idea what she was talking about. She kept asking for “jamp” and as we were putting food on the table for our Thanksgiving dinner, she started getting really excited and pointing at the table. We finally figured out it was “jam” she was trying to say and cranberry sauce she actually wanted, which made total sense, since cranberry sauce looks a lot like jam. She was obviously a fan of cranberry sauce, as am I. But although I love the stuff, I inevitably end up with lots of leftovers. My daughter and I are the only ones that really eat it. Hey, it’s got gravy as it’s competition and that’s some pretty stiff competition. 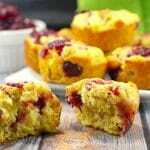 Still, I always struggled with what to do with my leftover cranberry sauce, hence the reason why I’ve come up with these leftover cranberry sauce cornbread muffins. 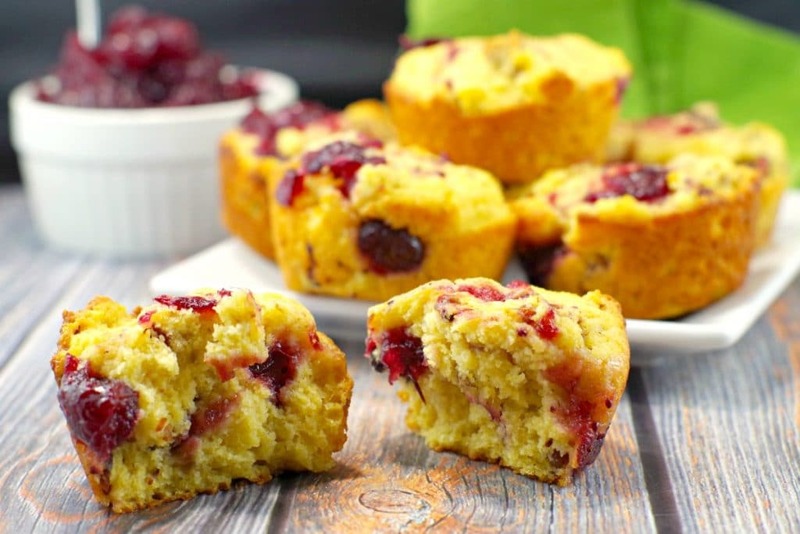 And once you try these, you’ll be grateful for your leftover cranberry! First words are funny – I certainly didn’t expect her to say “jam”, but her very first word was even more unexpected…. My mom made cornmeal muffins, more commonly known as cornbread muffins, all the time. 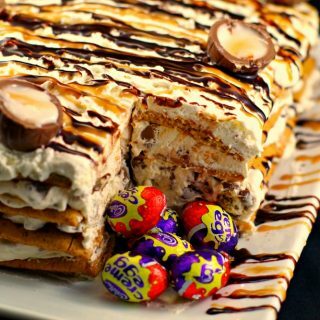 So I decided to take her beloved recipe and mess with it, as I’m known to do. I wanted to find a way to use up cranberry sauce and add some protein (hello bacon!) to this muffin to make it into a really satisfying sweet and savoury morning meal, in the form of a muffin. 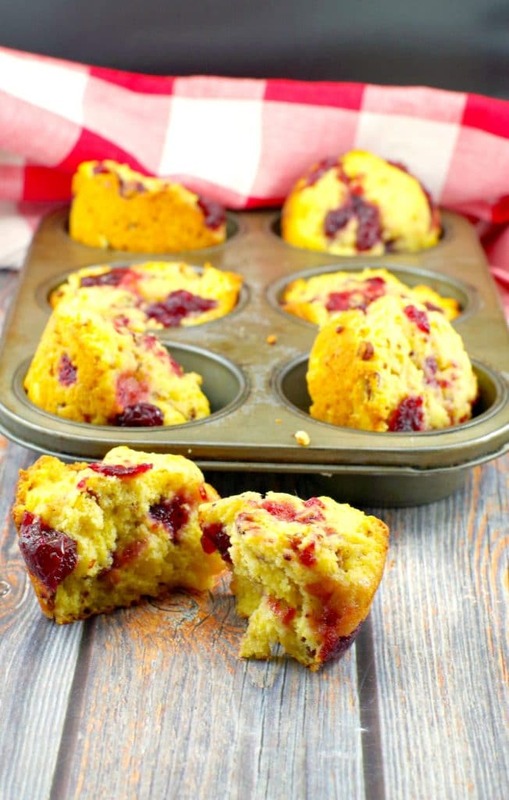 If you are looking for easy cranberry recipes, these leftover cranberry sauce muffins are perfect for using up those Thanksgiving leftovers or Christmas dinner leftovers. 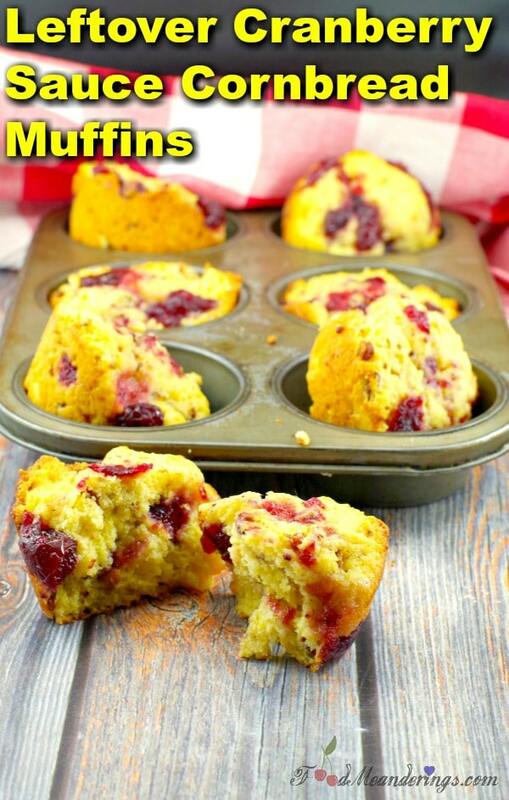 And this muffin can be eaten warm, cold, on the go, for a breakfast, snack and is a great lunch box addition! My daughter’s very first word was “cheese”, which is not typically the first word you’d expect your kid to say. I was sort of waiting on “mama” or “dada”. She happened to be eating cheese and looked up at me with a big grin and out it spilled. I was pretty shocked that she could say a word that complex, although it was only one syllable. I actually asked her to say it again, which she did. It sure came in handy when photos were being taken and someone would instruct the group to “say cheese”! The photographer was always a little taken aback that this little one year old could say “cheese.” And she was pretty proud of that. What was your kid’s (or your) first words? Leave me a comment below! 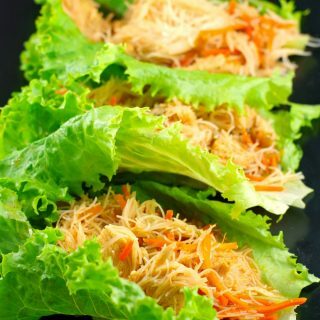 If you like this recipe, PIN IT for later~! 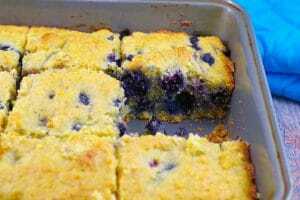 If you like cornbread, give my Blueberry Cornbread a try! These sweet and savoury holiday morning muffins use up your leftover cranberry sauce, come together quickly, but can also be made ahead and frozen for an easy and festive breakfast or brunch. They make a great on-the-go breakfast and lunchbox snack as well! In a separate bowl, cream shortening and sugar. Add orange juice, orange zest, syrup, maple extract and beaten eggs. Combine dry and wet ingredients. Fold in bacon bits. Fill each muffin cup to 1/3 full. Drop 1 teaspoon of cherry cranberry pie filling onto batter in each muffin cup and swirl in with knife. Add remaining batter into each muffin cup up to 2/3 full. 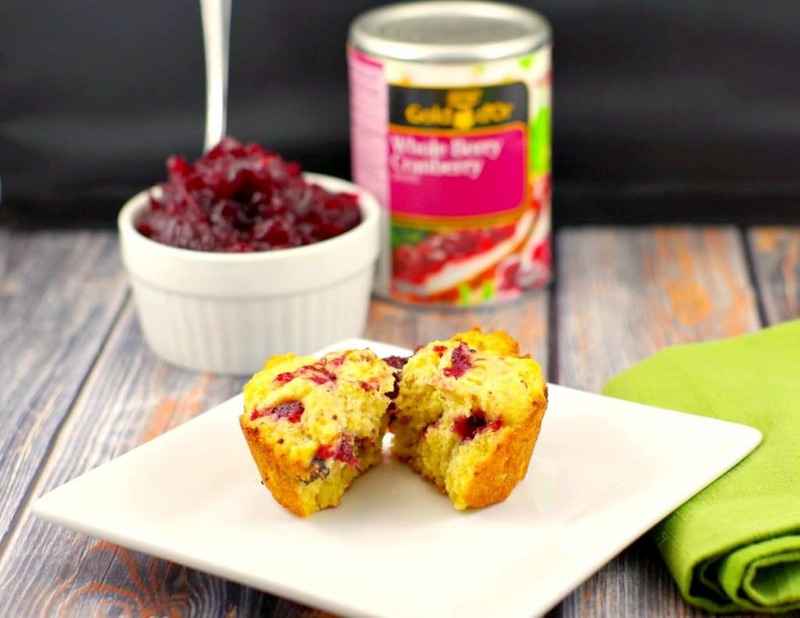 Drop another teaspoon of remaining cranberry sauce onto each muffin, dividing evenly between all muffins and swirl again. Bake in preheated oven for 12- 15 minutes or until tester/toothpick comes out clean and muffins are lightly browned. Serve warm or cold. Can be frozen for up to 6 months. Previous Post: « Baked Artichoke & Cilantro Pizza Dip (Gluten-free): Game Day Dip! Thanks – hope you get a chance to try them !